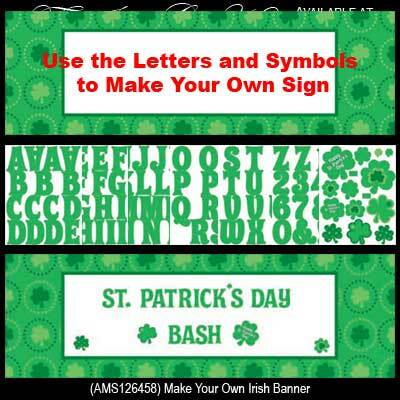 Make your own personalized Irish banner using the 104 included adhesive letters, numbers and shamrocks. This St. Patrick's Day decoration from The Irish Gift House is over 5 feet long and is 20" tall; the adhesive characters are 3" tall. Includes 104 Adhesive Letters, Numbers and Shamrocks!